You can't imagine how your feet suffer during the course of a day when trapped in tight, uncomfortable shoes with board-like soles. Ordinary insoles offer no relief. Birkenstock insoles mirror the natural curves of your feet. They support where necessary while giving the feet and toes ample room. 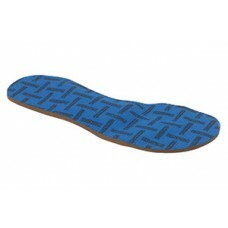 The great fit and durability of our insoles will make you feel like you're walking barefoot in the sand. Designed to be used as a replacement insole, this full length insole is made of durable synthetic latex foam covered with BirkoTex™, a breathable synthetic material. Best worn with any footwear needing gentle support. Full length Supports and cushions the entire foot. Contoured arches Gently supports ball of foot (metatarsal arch) and instep (longitudinal medial arch). Synthetic latex foam Provides cushioning. BirkoTex™ lining Absorbs moisture; breathable and hand-washable. Soft cushion under big toe Relieves strain on bunion area. Heel cup Reduces heel slippage. Easy to trim Fits a variety of shoes.